FindAMentor.com and TalentC® offers the world’s only Internationally Accredited Mentoring Training Program. Our Internationally Accredited Mentor Training Programs offer two levels of training that are available to companies of all sizes across the globe. The Level One course has no prerequisites; no previous mentoring experience is required. The Level 2 course is only available to groups that have completed Level One. In order to achieve the designation of an International Certified Mentor Practitioner the Accreditation Body must be satisfied that the candidate has completed all of the course requirements and training from an Accredited Training Provider. 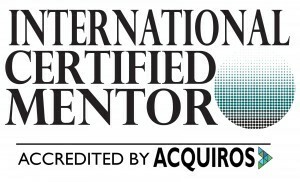 Become an ISO International Certified Mentor.